What sets Icelandic women apart? Five of the Top 10 women in Europe are from Iceland. What sets the dottirs apart? When scanning the top of the European Women’s Leaderboard, it is hard not to notice there are a lot of “dóttirs” in the top 60. Iceland uses a patronymic naming system where the father’s first name is attached to dóttir for the girls, and son for the boys. (Yes, Annie Thorisdóttir is truly the daughter of Thor). Consequently, the distinctive affix, dóttir, makes it easy to separate the Icelandic women from the rest of the Europeans. 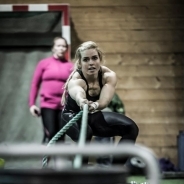 After 12.3, Icelandic women have locked in half of the top 10 in Europe — with the 1st place position going to the Fittest Woman on Earth, Annie Thorisdóttir. The other five women are from countries ranging across the continent including England (Emma Keen, 3rd), Italy (Martina Barbaro, 4th), Denmark (Sarah Lindasdatter Troelsen Krarup, 7th, and Sara Ellegaard Andreasen, 8th), and Norway (Anne Waage, 9th). Denmark is the only other country to claim more than one top 10 position, and arguably England would have been the other country had Sam Briggs not withdrawn due to her knee injury. It leaves one to wonder – year after year, how do Icelandic competitors continue to finish at the top? What can the rest of Europe do to break free of Iceland’s reign? What is it that makes Icelandic athletes different? On that last question, everyone has their own ideas. 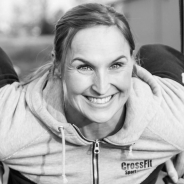 Icelandic competitor Erla Guðmundsdóttir – who finished in the top 10 at the Europe Regional in 2010 and 2011, and after 12.3 was in 64th in Europe – believes it’s in their genes to be strong, athletic and competitive. The only trouble is the Icelandic men have yet to dominate the European competition, let alone the world stage. 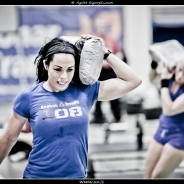 Elvar por Karlsson, for example, qualified for the 2011 CrossFit Games. While Thorisdottir swept the title, Karlsson fought to not finish at the end of the pack. Are we to believe that the Icelandic women get the good genes, but the Icelandic men don’t? Jami Tikkannen, Annie Thorisdóttir’s head coach, thinks what separates the Icelandic competitors from the rest isn’t physical strength, but mental fortitude. “Having trained at a few Icelandic affiliates and working with Annie the past few years, I feel that the biggest determinant is the mindset,” Tikkannen says. Emma Keen, one of the few to squeeze in between the Icelandic competitors, thinks the Icelandic people are fit because their culture values health. Fitness, she believes, is taken much more seriously in Iceland. Gary Mclean, Keen’s coach, agrees. They start from a supportive culture, and have a great role model. 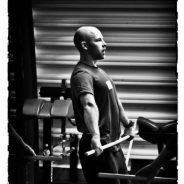 “People coming into CrossFit in Iceland with this health conscious society adapt better. 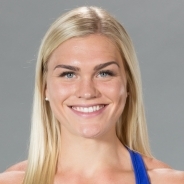 Couple this with the fact that they have Annie Thorisdóttir as a great figure head who has achieved so much success in this sport gives them a great target to aim for,” Mclean says. If you’re not Icelandic, don’t give up. 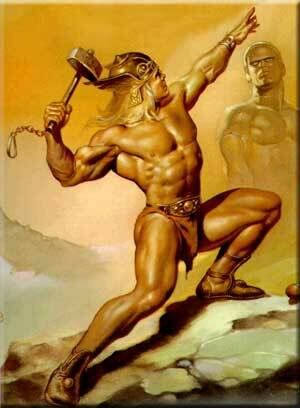 Your dad doesn't have to be named after a hammer-wielding god of thunder for you to be good at CrossFit. Give it some time, you'll see, Gary Mclean suggests. “This is not to say that the other European women are out of the running. I honestly don't believe we have seen all that the UK ladies have to offer yet as it’s such a young sport in this country,” Mclean says. Skilled athletes from Iceland (or anywhere else) can be like a rising tide that lifts all ships. “Competition is healthy and the likes of Annie Thorisdóttir in Iceland and Sam Briggs in the UK have shown a lot of athletes what's possible,” Mclean says. Learning from the tough Northerners, British competitor Lucy Rae (19th in Europe after 12.3) has pushed herself and her countrywomen to toughen up and welcome the challenge. She pushes herself by training alongside the guys. Sam Briggs’ training partner, Nicola Simpson (21st in Europe after 12.3), doesn’t look out to other countries or even the other gender. 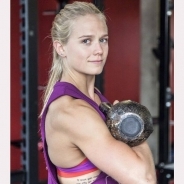 “I have been using strength programs, many of which have been given to me by Sam Briggs, and training with Sam has helped me to be competitive and driven,” Simpson says. 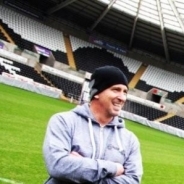 Karl Steadman, Sam Briggs’ coach, believes finding likeminded training partners is critical to success. 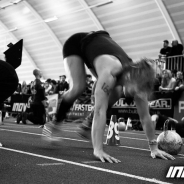 “I have visited some boxes in Iceland and they treat every single WOD as if it’s the final of the Games. 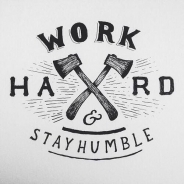 They are highly driven and competitive,” Steadman says.